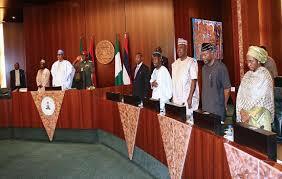 FEC approves fifteen-point-three-billion-naira road project in Enugu – Royal Times of Nigeria. The Federal Executive Council, has approved fifteen-point-seven-three billion naira for the road project linking Umana Ndiagu-Agba-Ebenebe-Amansii-Awka-Umumba road section two in Enugu, the Enugu State capital. Minister of Power, Works and Housing, Babatunde Fashola disclosed this while briefing State House correspondents at the end of FEC meeting presided over by the Acting President, Yemi Osinbajo at the Council Chamber, Presidential Villa, Abuja today. The Minister explained that the project which was initially awarded at the cost of ten-point-three billion naira in 2012 but later reviewed upwards was to serve six different communities. He further said that the project suffered failed implementation due to lack of funding, adding that the upward review of the project was among other things, to provide for erosion control.